Verum arisi dosa/Rice flour dosa is a very simple and easy to make breakfast recipe.I’ve given two different methods.Do refer both. Wash and the soak the rice for 2 hrs.Grind it to a smooth paste by adding water in between. Let it ferment overnight or a minimum of 10 – 12 hrs. This batter should be watery.So add water before making dosa. Heat oil in a kadai and temper all the items .Now add the chopped onions , green chilly & ginger.saute till they are transparent.Add everything into the batter .Mix well. Grease the dosa pan with oil and take a ladleful of batter and pour it like a thin dosa .Drizzle little oil around the dosa..
Cook it for 1 min(the sides will come out) and flip it over.Again cook for 1-2 min. Remove once it gets cooked. Hot n Crispy rice flour dosa is ready!! 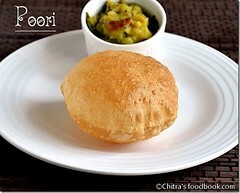 It tastes divine with Tomato – channa dal chutney. 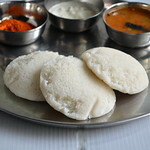 The above said dosa can be done using ready made rice flour instead of grinding the batter.Can make dosas instantly. The only change is , dissolve 1 cup of rice flour in 3 cups of water(add more if reqd) by adding salt(make sure there are no lumps).Add half a cup of buttermilk.If it becomes too watery add rice flour and vice versa. 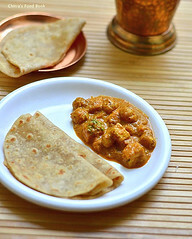 Now add all the tempering items as mentioned above and make dosas.The Problem is that dosa may get cracked and looks dry (BUT IT DEPENDS ON THE QUALITY OF RICE FLOUR). Whenever we have this dosa as a dinner or breakfast, we prepare mor koozh with the same batter for my husband.My husband just loves it:)Its very easy .Even children likes this very much:)U can try this for the children who are really lazy to chew;)Bachelors can also experiment it!! Heat oil in a kadai and add the tempering items one by one in the same order.Add 1/4 tsp of hing to it. Now add the water and bring it to boil.Pour the batter into it. Stir it well so that no lumps are formed.Check for salt. Add 1/4 tsp of hing. Cover cook it for 5 – 10 mins by stirring in between.Once it gets cooked,it will leaves the sides of pan & it becomes thick.Remove the kadai and add the coconut oil . Let it cool a little and serve warm!! This koozh can be done with ready made rice flour.Same everything ,except dissolve the rice flour in butter milk with the reqd salt without lumps and follow the same steps! !This we call as Mor kali/Mor koozh. Soak gooseberry size of tamarind in water and extract juice from it.Dissolve the rice flour in tamarind juice with a pinch of turmeric ,Hing and reqd salt. (For 1 cup of rice flour,big gooseberry size of tamarind is reqd).Remaining the same! !This is called PULI KOOZH. Increase the amount of rice flour and add some water if it is sour. 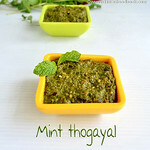 nice recipes..will try morkali sometime.. Thank u kitchen flavours & sowmya for immediate response!! i like dosas.. a lot! 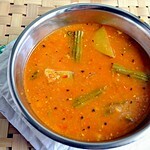 i like it with lots of spicy sambar...but no potato filling!ur's look really nice. Dosa looks so yummy. 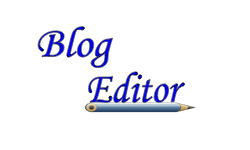 Will try it out sometime. Wowo that doas looks like a lace, beautiful. And i am sure they were delicious too. Interesting, love those crepes, mor kali is inviting...kind of missing those ethnic touch here...good to discover ur blog, great work. Dosas are really tempting..have to give this a try. I am glad you tried the Schezuan fried rice. Thanks a lot.!!!! 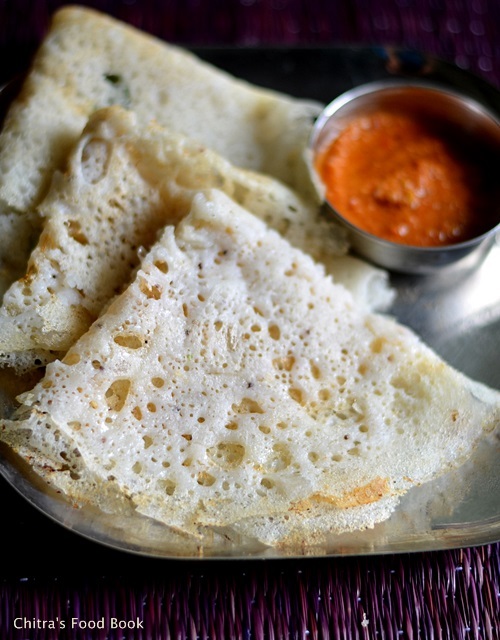 Lovely lacy dosas! 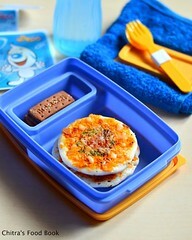 Must try these out soon! Mor Koozhu is yummy too. 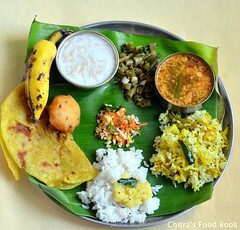 Dosa only with rice...sounds great....a must try.Thanks! All of these sound yummy, I need to try that dosai! Looks so spongy and porous. 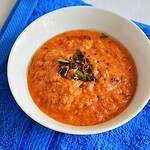 I just saw your rasam recipe, will give it a try the next time I make rasam ! Thanku all for ur lovely comments!! meeet u all next week with some new recipes!! I haven't had mor koozh since vegan change. Didn't know it could be made without mor and with tamarind. Will definitely try this. Thanks for all the delicious recipes! 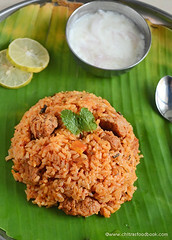 I like this rice dosa.. gotta try this..looks super yum!